In my last column, against the backdrop of current events, I inveighed against the parliamentary system as it has worked in India. The argument merits completion today. To summarise (and extrapolate from) the case I made last time: our parliamentary system has created a unique breed of legislator, largely unqualified to legislate, who has sought election in order to wield (or influence) executive power. It has produced governments more skilled at politics than at policy or performance. It has distorted the voting preferences of an electorate that knows which individuals it wants but not necessarily which policies. It has permitted parties that are shifting alliances of individuals rather than vehicles of coherent sets of ideas. It has forced governments to concentrate not on governing but on staying in office, and obliged them to cater to the lowest common denominator of their coalitions. It is time for a change. The fact that the principal reason for entering parliament is to attain governmental office poses two specific problems. First, it limits executive posts to those who are electable rather than to those who are able. The prime minister cannot appoint a cabinet of his choice; he has to cater to the wishes of the political leaders of 20 parties. Second, it puts a premium on defections and horse-trading. The Anti-Defection Law of 1984 was necessary because in many states (and, after 1979, at the Centre) parliamentary floor-crossing had become a popular pastime, with lakhs of rupees, and many ministerial posts, changing hands. Now, musical chairs is an organised sport, with ”party splits” instead of defections, and for much the same motives. I shudder to think of what will happen after the next elections produce a parliament of 40 odd parties jostling to see which permutation of their numbers will get them the best rewards. The case for a presidential system of either the French or the American style has, in my view, never been clearer. The French version, by combining presidential rule with a parliamentary government headed by a prime minister, is superficially more attractive, since it resembles our own system, except for reversing the balance of power between the president and the council of ministers. This is what the Sri Lankans opted for when they jettisoned the British model. But, given India’s fragmented party system, the prospects for parliamentary chaos distracting the elected president are considerable. An American or Latin American model, with a president serving both as head of state and head of government, might better evade the problems we have experienced with political factionalism. 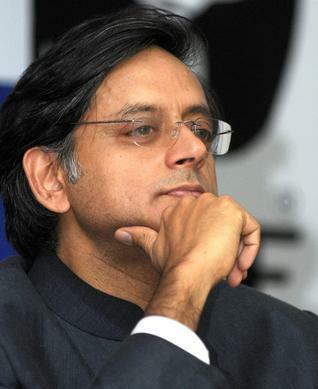 A directly-elected chief executive in New Delhi, instead of being vulnerable to the shifting sands of coalition support politics, would have stability of tenure free from legislative whim, be able to appoint a cabinet of talents, and above all, be able to devote his or her energies to governance, and not just to government. The Indian voter will be able to vote directly for the individual he or she wants to be ruled by, and the president will truly be able to claim to speak for a majority of Indians rather than a majority of MPs. At the end of a fixed period of time – let us say five years – the public would be able to judge the individual on performance in improving the lives of Indians, rather than on political skill at keeping a government in office. It is a compelling case. Why, then, do the arguments for a presidential system get such short shrift from our political class? At the most basic level, our parliamentarians’ fondness for the parliamentary system rests on familiarity: this is the system they know. They are comfortable with it, they know how to make it work for themselves, they have polished the skills required to triumph in it. Most non-politicians in India would see this as a disqualification, rather than as a recommendation for a decaying status quo. The more serious argument advanced by liberal democrats is that the presidential system carries with it the risk of dictatorship. They conjure up the image of an imperious president, immune to parliamentary defeat and impervious to public opinion, ruling the country by fiat. Of course, it does not help that Mrs Gandhi, during the Emergency, contemplated abandoning the parliamentary system for a modified form of Gaullism, thereby, discrediting the idea of presidential government in many democratic Indian eyes. But Mrs Gandhi is herself the best answer to such fears: she demonstrated with her Emergency rule that even a parliamentary system can be distorted to permit autocratic rule. Dictatorship is not the result of a particular type of governmental system. In any case, to offset the temptation for a national president to become all-powerful, and to give real substance to the decentralisation essential for a country of India’s size, an executive chief minister or governor should also be directly elected in each of the states. The case for such a system in the states is even stronger than in the Centre. Those who reject a presidential system on the grounds that it might lead to dictatorship may be assured that the powers of the president would thus be balanced by those of the directly-elected chief executives in the states. Democracy, as I have argued elsewhere, is vital for India’s survival: our chronic pluralism is a basic element of what we are. Yes, democracy is an end in itself, and we are right to be proud of it. But few Indians are proud of the kind of politics our democracy has inflicted upon us. With the needs and challenges of one-sixth of humanity before our leaders, we must have a democracy that delivers progress to our people. Changing to a presidential system is the best way of ensuring a democracy that works.